What are the best supplementary food for wild hedgehogs? It’s a myth that hedgehogs solely or mainly eat slugs. Whilst they do occasionally like to get their teeth into a juicy fat slug, they mainly eat insects, including beetles and caterpillars. Hedgehogs are also opportunistic and will eat a wide range of other foods including birds’ eggs and small dead animals like mice. Too many slugs, snails and earthworms are bad for them as they carry lungworm and roundworm which, in large numbers, can cause hedgehogs to become very poorly and die. One of the best things you can do to help hedgehogs find their favourite food sources is to grow a wide variety of shrubs and plants to attract insects. Also provide plenty of piles of old logs and other hidey holes for beetles. Providing extra food and water helps to keep hedgehogs fit and healthy and to put on weight for hibernation. It also stops them resorting to worms and slugs. Supplementary feeding is particularly important in the Spring as hedgehogs are emerging hungry from hibernation and in the Autumn to help them get up to weight for Winter. Leave out a shallow bowl of water year round. NEVER feed hedgehogs bread and milk. They are lactose intolerant and it can make them very ill.
Also avoid dried mealworms, peanuts and sunflower hearts – they can cause serious bone problems. You can find out more here. There is also a great article here that explains the reasons and busts the myths about some other foods that you can and can’t feed to hedgehogs. Meaty cat or dog food (including gravy and fish flavours). I go for loaf varieties. I run a hedgehog hospital in York, England. You can find out more about my work here and also how to support it. 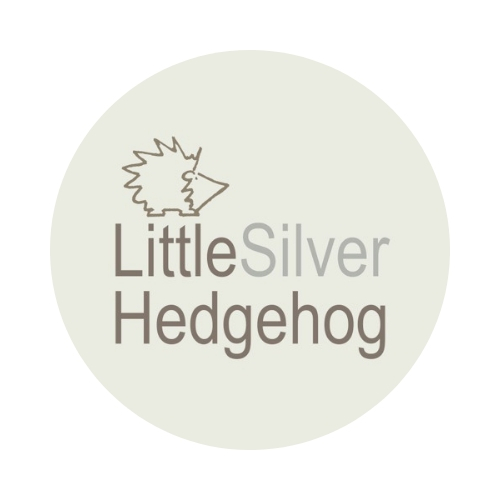 I also make silver jewellery inspired by nature to raise funds for my rescue work (which is entirely self funded). You can visit my jewellery shop here. My hedghogs are still feeding.they love the fruit suet pellets. Will they be ok. I worry they have not hibernated yet. Hi …… Will the badgers prove a problem with feeding hogs? I’ve got badgers and foxes but haven’t seen any hoggie signs …… Are gluten free cat biscuits okay for them? (Chicken of course). Hi – I’ve solved the badger problem …… and realised why I may not have seen hoggies … but the cat biscuit query still remains ……. all of my cats have gluten free food. Mealworms, nibs and sunflower hearts aren;t a problem …. just worried about the biscuits and cat food. Hello – gluten free cat biscuits are fine 🙂 Sometimes badgers and hedgehogs co-exist if there is enough food…..